Well, yes … perhaps. It would be nigh on impossible – and a rank conceit – to attempt to address all aspects of the internet’s impact on the modern news cycle but I wanted to make a few points in respect of the topic, in no appreciable order, triggered primarily by recent reading and event attendance. Baherah Heravi, who was a guest speaker at an Innovation Week 2015 Data Journalism conference at the Cork Institute of Technology (CIT), had a number of interesting things to report about social media use by Irish journalists in a February article in the Irish Times. An NUI Galway study, which Heravi co-authored, found that 99% of Irish journalists used social media for work, with 92% claiming to use Twitter once a day or more. When compared to a similar survey conducted in other countries Irish journalists ranked as the heaviest users of social media alongside their UK counterparts. 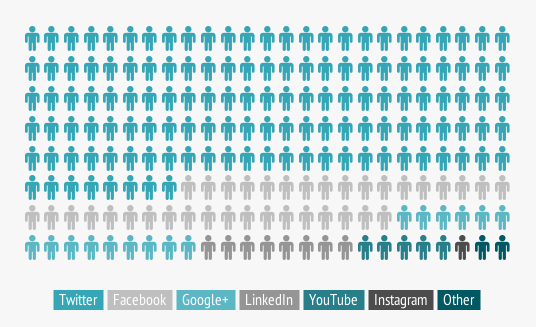 The survey, which can be downloaded in full from the Insight Galway’s Digital Humanities and Journalism group website, noted that 58% of Irish journalists used social media daily for sourcing news leads and 49% for sourcing content. The speed at which a story could be picked up and reported, as well as the increased output, in terms of the number of stories covered, were both noted as effects of increased social media adoption. It is worth noting that journalists also cited social media platforms as valuable for publishing and promoting their work, and for networking. For PR practitioners engaging with the media, knowing where a journalist’s responsibilities and interests lay could well prove useful when determining where and how best to place a story for publication. Another reason, if one were needed, for building a media list on Twitter. Despite widespread use, the NUI Galway study did note the concern expressed by a considerable number of journalists over the accuracy of information on social media, and the belief that, without external verification, such information could not be trusted. Cross-referencing online, contacting social media sources directly, contacting official bodies and tapping into existing networks were mentioned as important validation methods. For those PR practitioners employing social media it is important to note that the two factors rated most important by journalists in deciding the trustworthiness of a social media source were the availability of a link to an institutional or company website, and the number and quality of posts from that source. Given the expressed desire to able to contact a social media source directly, making oneself readily available and easily contactable is obviously a must. What surprised me about the study – though perhaps it shouldn’t have – was not that social media has become so important in news sourcing but that it still lags behind, if only marginally, the press release, which was cited as the main daily source of news by 59% of survey respondents. To borrow from Twain the report of the death of the humble press release appears to have been an exaggeration. Confirmation of its enduring value was provided by another guest speaker at a well-attended CIT Innovation Week 2015 Event Management seminar. Roderick Udo, a business lecturer and music promoter, spoke informally to a small group about various aspects of event promotion. In addition to providing useful pointers on web and social media use, Udo emphasized the written word. He noted that the ability to write a press release in the inverted pyramid style was still a vital skill in the internet age, especially for resource-limited local and regional publications; indeed he found that a properly structured press release often made it to print unaltered. How consumers interact with digital news is naturally of interest to both media and PR professionals. The Pew Research Center’s Journalism project, in examining how news functions in the social media environment, noted the following in a March 2014 article: half of Facebook and Twitter users got some news from those platforms; 78% of those who get news on Facebook visited the site for other reasons; the range of news topics viewed on Facebook is broad with entertainment topping the list and 50% of news consumers saying they view news about 6 or more topics on the site; 50% of social network users are sharing or reposting news stories, with a smaller, but significant, number contributing themselves by posting their news event images or video; people tend to group on Twitter around important news events but their opinions don’t necessarily reflect broader public opinion; and news consumer demographics on different platforms vary greatly with LinkedIn being predominately male and more highly educated while Twitter is gender neutral with a younger audience. Certainly the internet has changed news dramatically – the gathering of it, the reporting of it, the consumption of it, and, importantly, the underlying economic model. While dot.com versions of traditional media publications such as the Guardian or the Daily Mail, or “digital natives” such as Slate and The Huffington Post, have found their niche online, others are struggling. As a recent Roy Greenslade report in the Guardian pointed out, Ireland’s newspaper sales fell by over 7% in the second half of 2014. Technology has been a primary driver in changes in consumer behavior, and newsrooms have long since learned that simply migrating content from offline to online is not enough to satisfy that consumer; high quality graphics, video clips, podcasts, online polls, blogs, hyperlinks etc. are now a must, and must work seamlessly on mobile devices. Two-way communication is also a given whether through user comments on online articles and blogs, or hashtag-delimited opinion on social media. is addressed in a myriad of PR-related articles and posts, including this one on effective media relations tactics in the Journalistics blog, which devotes a section to “inbound media relations”, and includes notes on building and maintaining a blog, treating that blog as your “owned media channel”, and publishing your news to it on a regular basis. As just one example, individuals are more increasingly generating content – be it video, stills or first-person accounts – and placing that content almost immediately into the public domain. 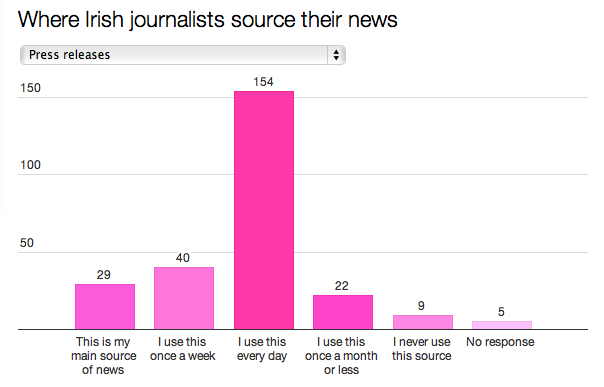 Citizen journalism is the term most often used. Mark Little, of Storyful, in a panel discussion at the Web Summit conference in Dublin in November 2014, suggested that “authenticity has replaced authority as the new currency” and went on to state that social media had a growing self-policing component. PR practitioners, such as the author of this post titled One Million iReporters: Is PR Ready?, are beginning to consider the challenges of citizen journalism for PR, and the possible responses. The challenges include the instant, unfiltered, 24×7 nature of such news; the lack of editorial control; possible personal agendas at work; and the race to get the story first rather than get it right. 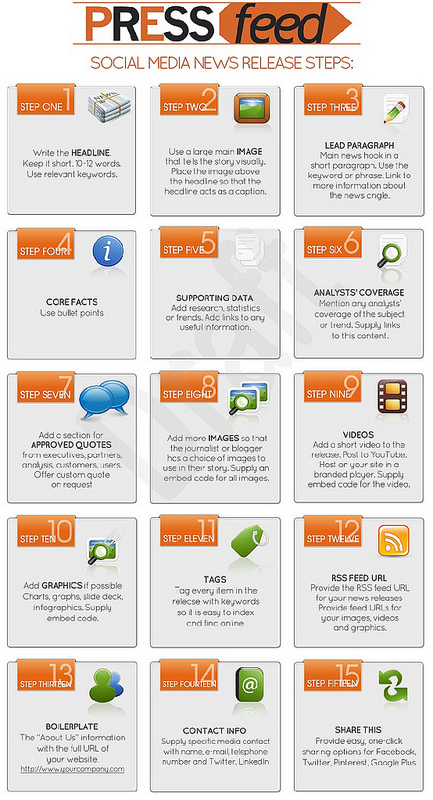 To counter this the author suggests advance risk preparation; listening to and monitoring both traditional and social media for negative comments or possible issues; being available (a common theme); responding quickly and seeking corrections; developing ones own media channels; collating and distributing information as quickly as possible; and preparation of visual materials such as video and graphics which have a higher news value. Storytelling is, after all, a great deal older than the web. Brown, R. (2009). 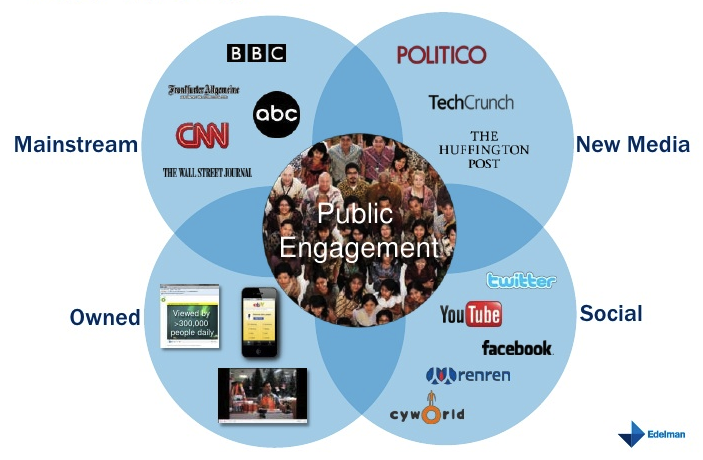 Public relations and the social web. London: Kogan Page. Lloyd, J., & Toogood, L. (2015) Journalism and PR: News Media and Public Relations in the Digital Age. London: I.B. Tauris.